The Zyxel WAP7205 is a Hybrid MU-MIMO AC1300 MoCA Extender capable of concurrent data transfer rates of 400 Mbps* for 2.4 GHz and 867 Mbps* for 5 GHz for users to enjoy high-speed Internet via the existing reliable wires as well as to diminish dead zones effortlessly. 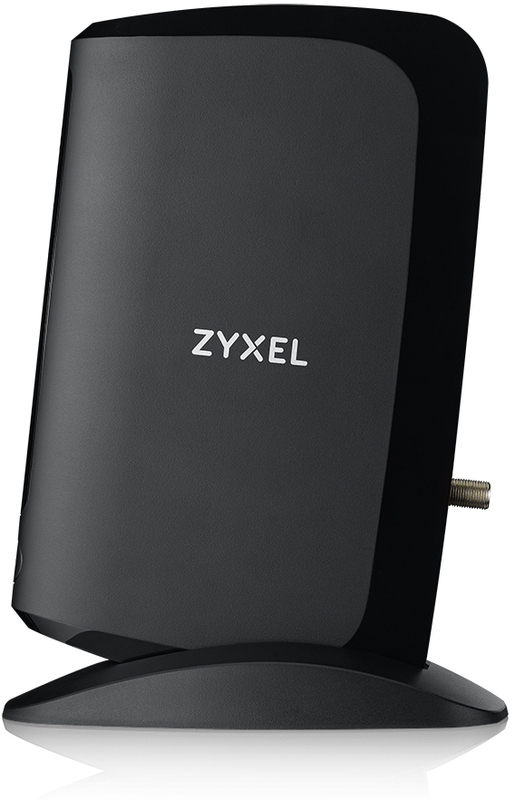 The Zyxel WAP7205 is a Hybrid MU-MIMO AC1300 MoCA Extender with MoCA 2.0 bonded designed as a wired backbone for reliable Wi-Fi extension. 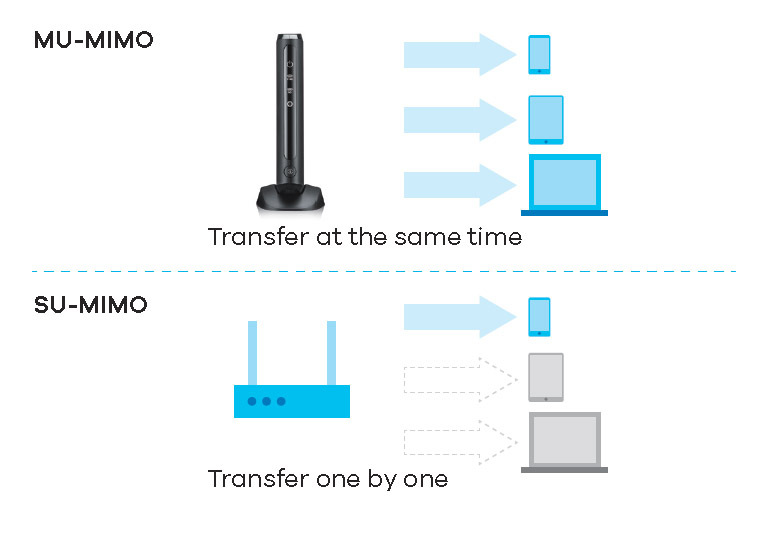 MoCA 2.0 Bonded is the most reliable solution for extending wireless coverage in multilevel homes to deliver video streaming and online gaming services with guaranteed quality. 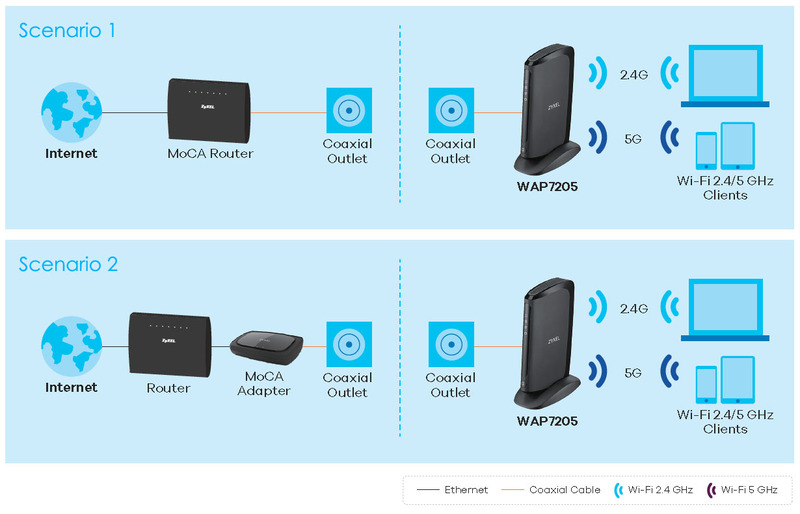 Even though there’s no wireless router to support high-speed 802.11ac, you can still enhance network performance with the Zyxel WAP7205 802.11ac Wave 2 to deliver wireless speeds up to 867 Mbps. 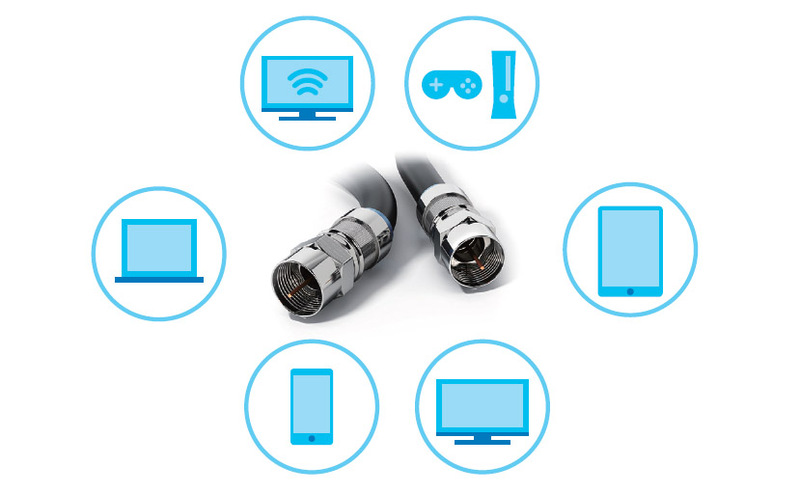 The total concurrent throughput can be as high as 1300 Mbps to let you enjoy smooth internet services and access online entertainment anywhere at home. 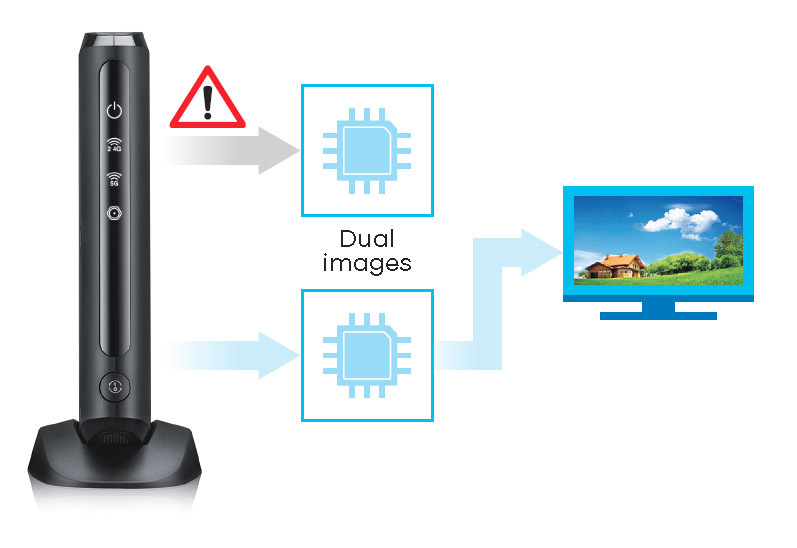 With dual images, you can perform reliable system recovery and easily maintain devices in case accidental issues occur and save cost by eliminating the need to call back the devices. 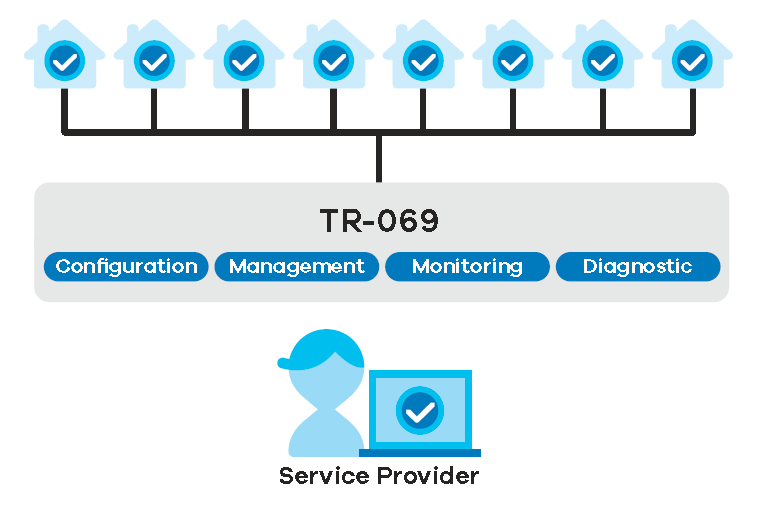 The Zyxel WAP7205 is equipped with the TR-069 standard management specifications for service providers to remotely manage and configure devices without any end-user intervention. 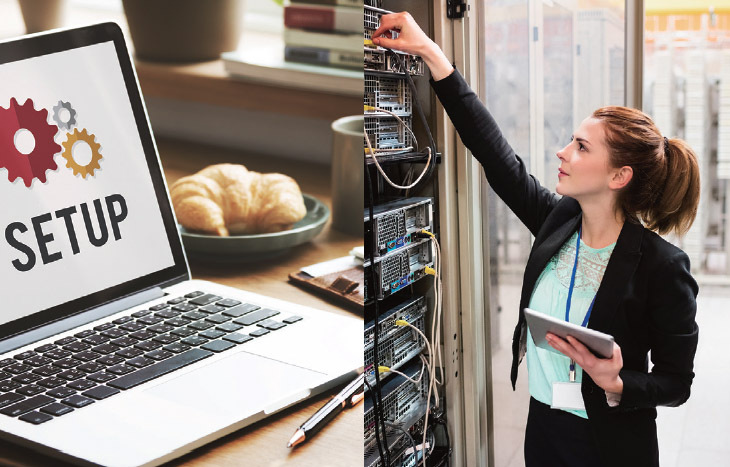 The feature offers a true “plug-and-play” experience while reducing deployment complexity to help saving OPEX for service providers. The Zyxel WAP7205 provides two-level administration management that allows you to manage and configure devices with full privilege and parameters as end-users are only granted with partial administration rights for basic, user-friendly configuration options such as SSID setting with a responsive UI. Download the Zyxel WAP7205 Datasheet (PDF).